Bottom Line: Precise balance and layers of textures make this a fine Soave to take seriously. Named for the eponymous town not far from Verona in Italy's Veneto region, Soave is one of Italy's best-known and distinctive white wines. Soave is produced primarily from the Garganega grape. The wines offer aromas of honeydew melon, pear and yellow flowers. Medium-bodied, the wines are generally unoaked, although a few artisan producers do age their wines in oak, to add texture and spiciness. 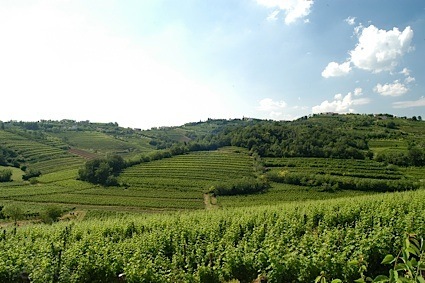 The Soave Classico zone is made up of volcanic soils, which add minerality and complexity to the wines from the best vineyards. The aging potential range from drink early styles (2-3 years after the vintage) to fifteen to twenty years for a few special versions form older vineyards. Soave pairs beautifully with lighter seafood, such as branzino (a local fish), vegetable risotto, lighter chicken presentations as well as Thai and Asian cuisine. 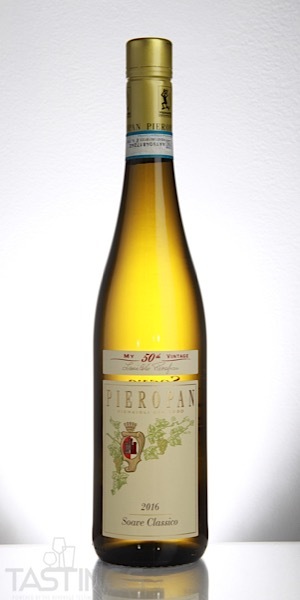 Pieropan 2016 Soave Classico rating was calculated by tastings.com to be 94 points out of 100 on 10/3/2018. Please note that MSRP may have changed since the date of our review.